Description :Title : Computron ND2X 52mm Grey Lens FilterModel : 52mmBrand : ComputronColor : N/ADim.. Description :Title : Crestron C2N-MMS Professional Multi Media Switch W/ 6 Kramer VGA/BNC CablesMode.. Description :Title : DayMen LP36444-0WW Lowepro Dashpoint 30, GreyModel : LP36444-0WWBrand : HpColor.. Description :Title : DigiPower QC-500NK Nikon Camera Battery Charger (Black)Model : QC-500NKBrand : .. 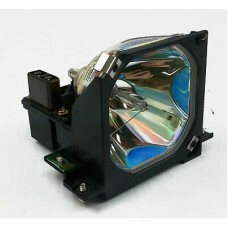 Description :Title : Epson EMP-8000 EMP-9000 EMP-8000NL EMP-9000NL Projector Lamp W/HousingModel : E.. Description :Title : Extron Crosspoint Series RGBHV Matrix Switcher - Actual 8x4 With Stereo AudioMo.. Conditions : - Used - Power supply included- Certified Pre-Owned Equipment- Tested by a qualified te.. Description : EXTRON DA6 RGBHV DA RGB/YUV Wideband Distribution Amplifier .. Description :Title : Extron Electronics Analog/ ECL Computer Interface, RGB 120Model : RGB 120Brand .. Description :Title : Extron ISS 408 8-Input Integration Seamless Video Switcher S-Video CompositeMod..